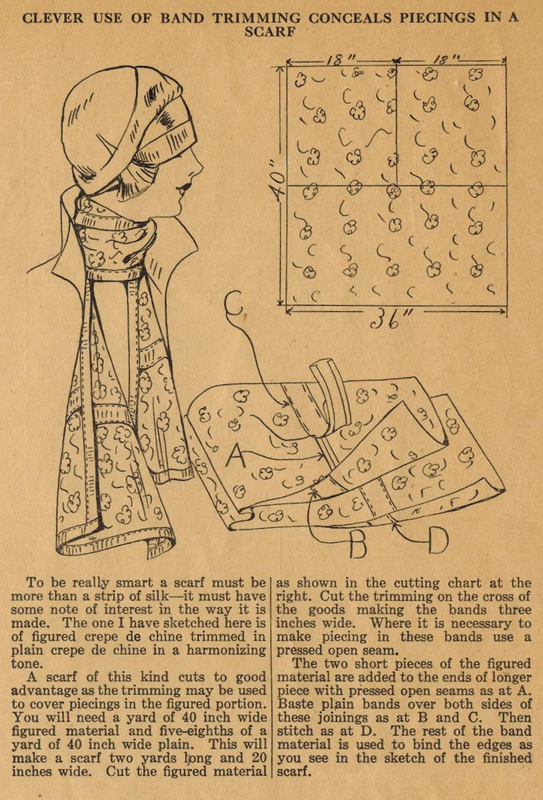 Making your own long neck scarf is snap with this tip from the 1920s and Ruth Wyeth Spears! Whether making it of silk, crepe de chine, or some other soft fabric, you'll find yardage requirements, cutting guides, and full instructions for piecing the fabric together and trimming the seams with bias bands of a "harmonizing" or contrast fabric. Thanks, Ruth, for another fabulous tip!